I reached a milestone of sorts this morning and ordered a piece of clothing on line. Always before, I either didn't have the money, was unsure of sizing or just wasn't positive of how it would look on me. 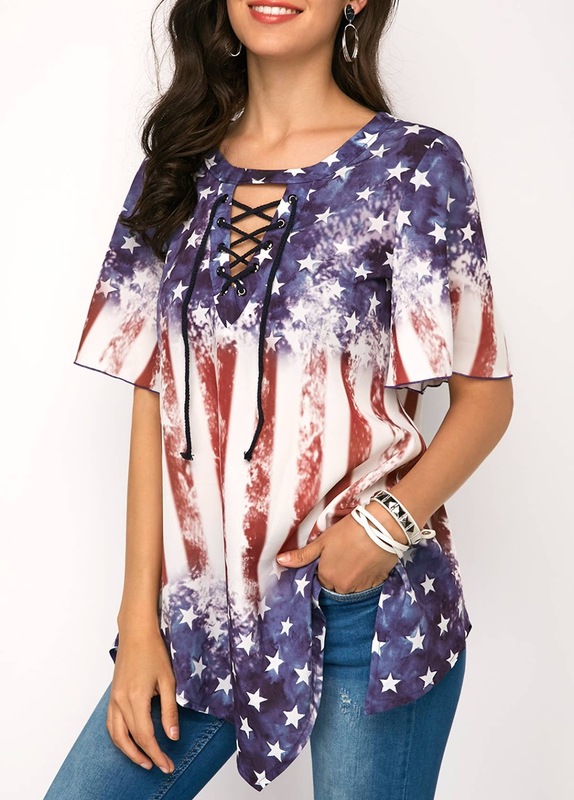 This top caught my eye because I am a transgender veteran and I thought it would be fun to wear around the Fourth of July holiday weekend among others. Such as a summer combined picnic several Cincinnati cross dresser - transgender groups are working to put together. It came from a site called Modlily. Com. One of the problems is how long I have to wait to get it. About two weeks. I am a very impatient person!